It was an exciting year for Sunday Assembly Detroit. More ups than downs, it’s been a rewarding experience carrying on the mission of Sunday Assembly, to help everyone find and fulfill their life’s potential. Let’s take a look back on 2017 at some of the highlights. The most important part of our organization is community. As a global movement of Wonder and Good, we strive to be radically inclusive, providing a welcoming environment for people and families of varying backgrounds. We are a secular group, and our motto is to Live Better, Help Often, and Wonder More. What does this mean? We can live our lives as fully as possible through exploration and learning, volunteering our time to charitable causes, and joining in celebration and community, helping each other whenever possible. We try to come together in fun social activities as often as possible. Some events monthly, such as Game Night and Wine with TED, and others less frequent or more unique, such as a group visit to the Holocaust Museum or Halloween Science at the Cranbrook Museum. Wine with TED is one of our more popular events. This year, it was hosted at Sunday Assembly members from Detroit to Pontiac. We come together and watch TED Talk, which are fantastic lectures on topics on matters involving Technology, Entertainment and Design. We share wine and other drinks, food brought by our members, and discuss the topics of the talks for some engaging fun. This social event has brought many friends together and regularly inspires new members to join. “How It All Began” TED speakers explore our origins as a species — who we are, where we come from, where we’re headed — and how we’re connected to everything that came before us. “Gratitude” The one thing all humans have in common is that each of us wants to be happy, and happiness is born from gratitude. An inspiring lesson in slowing down, looking where you’re going, and above all, being grateful. “Truth and Lies” We live in a time where the line between fact and fiction is increasingly blurry. “Extraterrestrial Exploration” Are we alone in the universe? There were many more. Do you have topic ideas? Would you like to host? Contact us to join in. Follow us on Meetup.com to RSVP for future Wine with TED meetups. There were many community events in 2017. Take a look at this slideshow for more. Service is at the core of our mission. 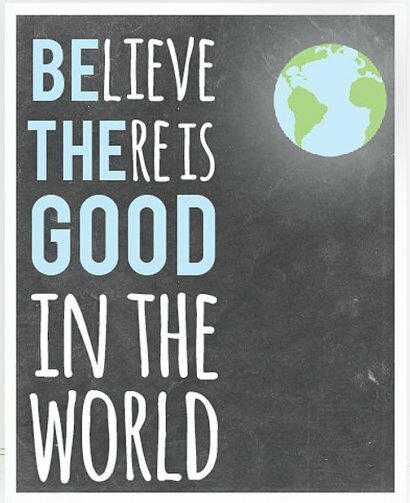 We believe in doing good for the sake of good. From Gleaner’s to Forgotten Harvest and Life Remodeled, we try to find many ways to give back to society. For many secularists and humanists, it is our nature to be altruistic. Let’s take a look at some of the ways we gave our time in 2017. Gleaner’s Food Bank in Detroit has been a regular stop for Sunday Assembly. We visit their warehouse and form teams, adding a little fun competition to complete and pack the most food orders. This is a great way to come together, giving back while getting to know one another. In 2018, we’ll visit other Gleaner’s stops in Pontiac and elsewhere, giving more of our members an opportunity to participate. Forgotten Harvest is another stop we’ve added to the schedule in 2017. Similar to Gleaners, this Southfield warehouse is another fun opportunity for us to give back and work together. Life Remodeled had a blast participating in this incredible effort to restore a proud neighborhood in Detroit. Getting out in the sun, meeting new people, and getting hands dirty, made this one of the most rewarding activities of the year. We’re always looking for participants and new charitable opportunities. Can you help? Contact us today! We wouldn’t be “Sunday Assembly” without our monthly Sunday gatherings. In London, where Sunday Assembly was founded, we’re known as the “Church for the Unchurched,” or even, “Atheist Church.” We in Detroit prefer to identify as a secular community, unbound by tradition or dogma, but sharing a common idea of community. We’ve had the remarkable opportunity to be visited by some of the kindest and most thoughtful people Detroit has to offer, with ideas on how to make the world a better place an to improve our own lives. We’ve had guest speakers at our assemblies who are authorities on many engaging topics. Let’s take a look back at speakers from 2017. Our November featured guest speaker, Linda Torony, owner of Nature’s Urban Farm in Lake Orion, MI. Linda showed how you can convert your front yard or backyard into an edible landscape, the process of getting your soil ready for next spring, and working together as neighbors to grow your own organic food without chemicals or pesticides. Linda has 30 years experience in organic farming and is organizer of the Oakland County Permaculture meetup group. One in three young people will grow up without a mentor. This means that millions of children across the country are in need if positive role models. Learn how individuals and organizations are having an impact and how you too can make a difference. Come and meet our featured guest speaker, Rasheda Kamaria Williams, an award-winning mentor, communications consultant, TEDx speaker and author of Be EmPOWERed: How to Live Above & Beyond Life’s Drama. She is the founder and chief empowering officer for Empowered Flower Girl and a staunch youth advocate. A survivor of bullying, Rasheda was featured in Cosmopolitan magazine in the article “Being bullied changed my life.” Her journey from excluded to empowered motivated her to launch Empowered Flower Girl in 2010. In September, we were shown that we all have the ability to be fabulous, are filled with passion, and can experience fantastic things. Our guest speaker for the month was Doug Van Slembrouck, who renewed his TED Talk and gave an inspiring message for us all. You can learn more about Doug by following his blog. Lily Ma came to share her TEDx talk with the message that your “One Word” is your single most important core value defined by you, once you discover that core value is, you know what you stand for as a human being, then you can engineer a life with meaning and purpose. This talk is aimed at anyone who wants to achieve success in a powerfully meaningful way. Lily Ma is a high performance coach specializing in entrepreneurship and personal development through one-on- one coaching, live events, and workshops. She has helped companies worldwide in implementing value-based leadership strategies. Lily also brings over a decade of merchandising and e-commerce experience. She currently works with Evan Carmichael as a business consultant helping entrepreneurs build #Extraordinary businesses and is a featured thought leader on his YouTube Channel which gets almost 6 million views per month. She resides in Toronto, Canada with her husband, Michael. In April, we were pleased to have Gensler architect Najahyia Chinchilla speaking on the designation of Detroit as a UNESCO City of Design. She had recently returned to Michigan after giving a presentation in Paris, France. Our June assembly focus was Father’s Day. The guest speaker, Leon Walker, has been Executive Director of Partnership for Dads since Spring 2016. He’s also the twin brother of our Sunday Assembly Detroit Board President, so not only is he a handsome guy, he’s also an amazingly dedicated dad. Beginning with his time as a camp counselor in his youth, on through caring for nieces and nephews, and now parenting his own children, Leon is a passionate advocate for father’s participation in their children’s lives. Partnership for Dads is a non-profit charitable organization, founded in 2000, dedicated to encouraging and supporting fathers, children, and families through a variety of workshops, lectures, activities, and events. Please consider donating to this very worthy cause. In February, we were visited by Chris Lambert, who talked about the ways Detroit-based non-profit Life Remodeled improves lives the residents of Detroit’s neighborhoods. As seen earlier, Sunday Assembly chipped in by having our members join Chris in restoring the Central Park High neighborhood. 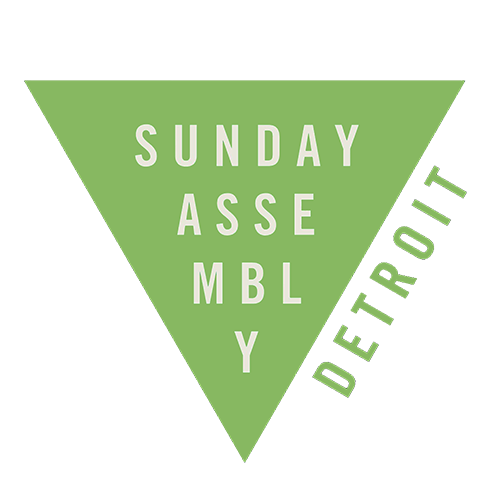 Much was accomplished in 2017, and Sunday Assembly Detroit has grown in many ways. The New Year will bring about another series of significant changes, and it’s up to our community to lead the organization into the future. We’ll need new leadership, new ideas, and a lot of help planning and executing events that include all members of our community. Follow this website for more on how you can be a part of this important effort, or contact us right away to get involved. Visit our Events page for regular updates.